Outraged campaigners have uncovered the extent of gruesome military experiments on animals in Britain. Thousands of creatures including rabbits, guinea pigs and monkeys have been subjected to what opponents have condemned as “torture”. Many of the experiments were carried out at the top secret military facility at Porton Down in Wiltshire. 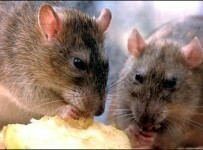 Supporters insisted the experiments are essential to protect humans. Behind locked gates and barbed-wire fences, live animals were poisoned, smashed with heavy weights and had bullets fired into their eyes. Claire Palmer, spokeswoman for the Animal Justice Project which carried out the investigation, said: “Most people will be shocked at these sickening, repetitive and futile experiments. Some of the tests are outlawed by Parliament but the Ministry of Defence has special exemption status. Ms Palmer said the campaigners were shocked by the number and range of animals used in the research. She added that many procedures they uncovered were repeating studies that had already been done. Ms Palmer also said numerous experts are convinced that animal tests are not a good way of predicting what would happen to humans. The dossier, called Secret War – The Invisible Victims, showed the highly intelligent macaques were caged and “provided only DVDs for visual stimulation”. Testing was also carried out by Oxford, Cambridge, and Birmingham university. Ms Palmer said: “Some of the examples we found included 30 adult female rabbits having back legs inserted in injury clamps. “Researchers then dropped weights on the rabbits’ legs equivalent to five times their body weight. Bacteria was then introduced into their open wounds. At Porton Down in 2013 there were 5,641 tests on mice and 447 on guinea pigs. Some experts said the figures in the report are the “tip of the iceberg”. 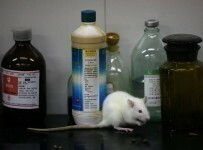 Many animals die as a result of the tests. Almost all of the creatures that survive the experiments are then euthanised. There are increasing calls for a ban on testing live animals – particularly primates. But many groups say the tests are vital to allow scientists to fight disease and to help save humans. Wendy Jarrett, chief executive of Understanding Animal Research, said: “Experiments undertaken for military purposes are designed to support and protect our troops in dangerous situations, or to prepare for the potential scenario of chemical or biological attacks on civilians. 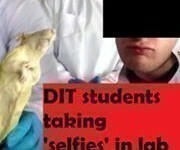 “The law is clear that animals cannot be used if there is any other way of conducting the experiment. “Monkeys cannot be used if the research could be carried out using another type of animal. “This is why research using non-human primates is rare, accounting for less than 0.1% of experimental animals in the UK. “Most are mice and rats.” Ms Jarrett added guidelines stipulate that researchers should minimise animals’ suffering “where possible”. The MoD said in some cases there was no alternative to animal tests. A spokesman added: “Research by the Ministry of Defence’s Defence Science and Technology Laboratory has saved the lives of British troops by developing new protective equipment and medical treatments that also benefit civilians. “While we are working to reduce the requirement for animal experimentation some of this life-saving research cannot be conducted without using animals. All animal research at Dstl is conducted under the terms of the Animals (Scientific Procedures) Act 1986. He added that Dstl uses less than half of 1% of the animals used in experiments in the UK. Not necessarily all the tests at Porton Down were done for military purposes. Public Health England also has a base at the headquarters. Last year the Mirror revealed how live pigs are strung up and shot in Denmark then British Army medics operate on the traumatic wounds while the animal is still breathing. This type of military training is banned in the UK. Porton Down, a government-run military science base, opened during the First World War and is the world’s oldest chemical-warfare research installation. It has figured in many controversies and was once described by a Whitehall official as “sinister”. From 1939 to 1989 Porton Down exposed more than 3,400 human “guinea pigs” from the armed forces to nerve gas. While all were supposedly volunteers, allegations still persist that they were duped into taking part and that the tests have damaged their long-term health. During the Second World War scientists at the establishment, set in 6,000 acres of countryside in Salisbury, Wilts, carried out research on chemical weapons like nitrogen mustard and biological agents such as anthrax. After the war, tests were carried out on servicemen to establish the effects of nerve agents on humans and the centre was plagued with allegations of unethical experiments. Leading Aircraftsman Ronald Maddison, 20, died in 1953 shortly after becoming a human guinea pig in tests on the deadly nerve agent sarin. In the 1970s, Porton Down was where samples of Ebola were sent after the first confirmed outbreak in Africa.